If you’ve turned on your Xbox One since March 29, you’ve probably noticed that it feels snappier and looks a bit different. 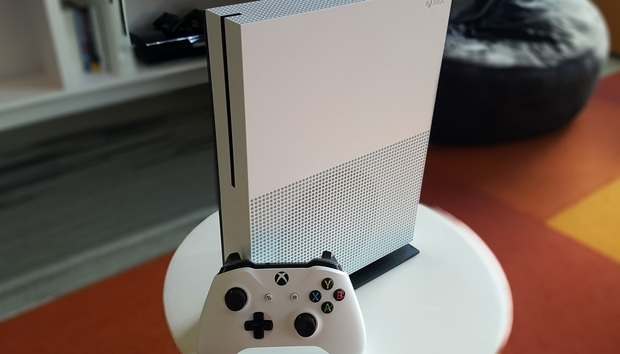 That’s thanks to the Xbox One Creators Update, a new version of the console’s software that overhauls the menu system while also adding some features. But while the Xbox One Creators Update is a net improvement for Microsoft’s game console, it might take some adjustment. Some features have moved, shortcuts have changed, and a couple of features have disappeared. Here’s an overview of where everything went. In most cases, you shouldn’t need to return to the full home screen. But if you do, just press right on the thumbstick after hitting the Xbox button to highlight the Home button, then press A. With the Xbox One Creators Update, Microsoft has removed the Snap feature, which would run a second app in a sidebar along the right side of the screen. According to Microsoft’s Mike Ybarra, eliminating Snap makes the system faster, improves multitasking, reduces memory use, and will “free up resources going forward for bigger things.” In other words, the update’s snappier feel owes itself to Snap’s departure. The demise of Snap means you can no longer monitor achievements in a sidebar while you play. But in place of this feature, Microsoft has added an achievement overlay, which you can position along any edge of the screen with adjustable transparency. To access the overlay, press the Guide button, scroll up to the trophy icon, and set the Achievement tracker to On. A menu will then appear for adjusting the tracker’s appearance. Microsoft has also made game DVR settings less convoluted in the Xbox One Creators update, with no need to wade through the Snap apps menu to tweak recording options. Just press the Xbox button once, then hit the View button (that’s the little one to the left of the Xbox button). A list of recording options will appear center-screen. What happened to Twitch integration? While the Xbox One Creators Update still supports streaming live gameplay to Twitch, the functionality’s a bit hobbled now. That’s partly because you can no longer Snap the chat and recording options to a sidebar. Now, streamers must open the Twitch app to view the chat window, interrupting gameplay. But the update also re-purposes the “Xbox, broadcast” voice command. Instead of starting a Twitch stream, the command now takes you to Microsoft’s own Beam live streaming service. There’s no apparent way to make Twitch the default in the Creators Update. Microsoft has opened up basic controller vibration settings for everyone in the Creators Update, after introducing this setting for Elite controllers in 2015. If you prefer not to have your hands jolted while playing games, head to Settings > Ease of Access > Controller > Vibration. Scroll down to Turn on vibration, and uncheck the box. For fine-grained controls over each vibration motor, you’ll still need an Elite controller.